Located in southern Dallas County, Duncanville is home to a huge selection of outdoor recreation areas that are perfect for the whole family. This city houses about 40,000 residents and offers visitors a glimpse of the beauty of Texas. Cedar Ridge Preserve and Joe Pool Lake draw guests from all over the country to enjoy outdoor hiking, swimming, fishing, and boating throughout the year. Duncanville is also a great place be when a dental emergency strikes. From general dentists to oral surgeons, this Texas town has the dentist you need for your dental problem. 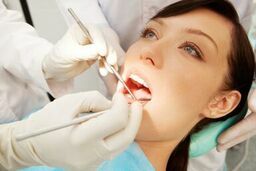 The Emergencydentistsusa.com website provides you with the perfect searching point for a new Duncanville emergency dentist. Just log onto our convenient website and scroll through the comprehensive listing of emergency dentists. Find the information that you need to make an informed decision about your dental health care. The Emergencydentistsusa.com website offers office hours, driving directions, services provided, and even insurances accepted. An easy-to-use website makes finding the right dentist a breeze. When you need a little more help selecting that new Duncanville dentist, just call our dentist finder hotline. This toll-free service links you with a caring agent who is standing by to set up your first dental appointment and provide you with driving directions to the dentist’s office. Remember to bring your dental insurance card, a photo ID, and any applicable copayment with you to visit your new dentists. You should arrive at least 15 minutes early to fill out the new patient paperwork. A visit to Duncanville makes it easy to see why people love the outdoor adventures available in Texas. This Texas town is also a great place to be when you have a dental emergency. Just scroll down to see some of our top dental choices in Duncanville. Description: Located in the heart of Duncanville, Sunflower Dental is a perfect choice for your dental emergency. Walk-ins are welcomed and emergency appointments are often on the very same day at Sunflower Dental. A caring staff and a calming atmosphere make this office a favorite for families. Description: Two general dentists, an orthodontist, and a periodontist make Duncanville Dental Care a great choice for families with children. This Duncanville dental clinic provides restorative care along with routine services and braces. Convenient office hours make it simple to get your dental work accomplished quickly. Description: A great place for families with children, Camp Wisdom Dentistry provides routine and restorative dental care. From painless dentistry using nitrous oxide to free Invisalign consultations, this dental clinic offers exactly what you need for your best smile. A caring staff and kind dentists provide great service with no overbooked appointments and long wait times. When dental pain strikes, it definitely takes a toll on how you feel. A tooth that gives you pain that lasts for more than an hour or two could become a dental emergency. It is important to visit your Duncanville emergency dentist as quickly as possible when you have a terrible toothache. A tooth emergency that comes from a fall or an accident could involve injuries to other parts of your body. Call 911 or visit the nearest emergency room or urgent care center to have your medical concerns addressed before visiting your dentist. Any time you select a new Duncanville dentist, it is important to ensure that he or she is properly licensed in the state of Texas. Use the Texas Dental Association’s website to check the current licensing of any Texas dentist. Just log onto the website and enter your dentist’s name into the search box. View current licensing right online. You can also see your dentist’s current license by visiting the dental office prior to your first appointment. Speak with the dental receptionist who can help you to learn more about your new Duncanville emergency dentist.